The name Cadillac is synonymous with class and style. The very label brings to mind high-end vehicles filled with luxury and sophistication. The 2015 Cadillac SRX crossover SUV lives up to those images. And best of all, it is luxury that the whole family can enjoy. The 2015 SRX underwent few changes from the 2014 model. The only differences between the two models is that all-wheel drive is no longer available on the base model, and the options packages have some minor updates. Gone are the days when SUVs were bulky,off-road vehicles. Today’s SUVs are more pleasing to the eyes and come with many luxuries. 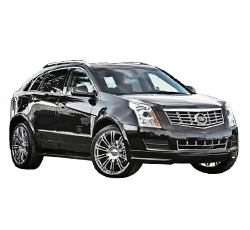 The Cadillac SRX is an elegant looking vehicle that fits the needs of individuals and families. Safety is essential when taking to the highways. The 2015 Cadillac SRX received a five-star safety rating – the highest rank given by the National Highway Traffic Safety Administration. Its safety cage is constructed from ultra-high strength steel. It has six airbags, and crumple zones are strategically placed to help protect the occupants. The 2015 Cadillac SRX could be the idea vehicle for those who need power to get up hills, but who don’t want the high gas cost of a V8 engine. It comes standard with a 308 horsepower V6 engine. When driving in inclement weather, drivers will appreciate the Cadillac SRX’s available all-wheel drive. This option is available on most models. The advanced all-wheel drive anticipates a loss in traction and transfers the engine power to the proper wheel to improve handling on wet or slippery roads. The 2015 Cadillac SRX has available safety components to help prevent accidents. Its collision warning system uses a forward-facing front camera to identify a possible impact with another vehicle and warn the driver before the collision occurs. Traveling comfortably is important for the driver and all passengers, especially on long trips. The 2015 Cadillac SRX comes with tri-zone climate control that lets the driver, the front seat passenger, and the back seat passengers set their own comfort levels. Sitting in car seats for long periods of time while traveling can become uncomfortable. The 2015 Cadillac SRX offers available heated and ventilated seats. Unlike the traditional heated seats, the SRX’s front seats have air that circulates throughout the leather to provide extra comfort on those long trips. For those drivers who want to listen to music or just talk to their passengers without interference from noise, the Cadillac SRX could offer the solution. It comes with a noise cancellation system that monitors noise inside the car and sends a frequency through the speakers to reduce the noise. It also has triple-sealed doors and acoustic glass to help keep the inside of the vehicle quiet. Those who need lots of space to carry groceries or other supplies will love the 2015 Cadillac SRX. It comes with an under the floor storage bin in the rear cargo area. It also has hooks under the cover for hanging shopping bags. It further includes a cargo management system that uses rails and a cargo fence to keep items in the back of the vehicle in place. When the split rear seat is folded flat, the Cadillac SRX has a total of 60 cubic feet of cargo space. It is easy to miss other cars on the highway when they are passing in the driver’s blind zone. However, the 2015 Cadillac SRX can help drivers avoid accidents by notifying drivers of other vehicles on both sides. The available blind-zone monitoring feature uses radar sensors and illuminates lights in the driver’s side mirror when cars are in the blind zone. With all its luxury and comfort features, the Cadillac SRX can get expensive. 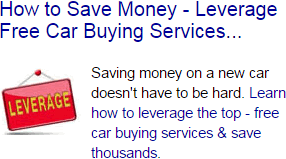 Prices for this vehicle range from $37,605 to $58,150. Many of the safety features do not come standard. For those drivers who want a vehicle that gets good gas mileage, the 2015 Cadillac SRX may not be the best one to buy. Comparatively, this vehicle does not get bad gas mileage for an SUV. It gets 17 miles per gallon in the city, and 24 miles per gallon on the highway. But that could get expensive for drivers who have long commutes to work every day, or who travel a lot. According to several reviews, the Cadillac SRX has compromised outward visibility. At least one consumer reviewer noted that it is hard to see while backing up. Drivers who are tall may not want to buy the 2015 Cadillac SRX, because it is lacking in headroom in the rear seating area. This is especially true for those who are six feet tall or taller. The Cadillac SRX competes well with other vehicles in the luxury midsize SUV class. Both the Land Rover Range Rover Sport and the Acura MDX are popular vehicles in this class. While the three vehicles share many of the same luxury and safety features, the 2015 Cadillac SRX beats the other two in price. The manufacturer’s recommended sales price for the base model Cadillac SRX is $37,605. The Acura MDX is priced at $42,765, while the Land Rover Range Rover Sport costs $62,600. Of the three vehicles, the Cadillac SRX is the only one that has an onboard, hands-free communications system, and the only one that includes an automatic transmission with manual shift. Overall, the 2015 Cadillac SRX is an impressive vehicle that offers consumers some great options. Its high safety ranking and luxury features make this vehicle a good choice for individuals and families.